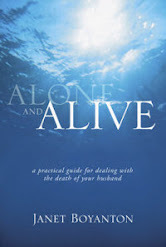 I am excited to announce that my book, Alone and Alive, a practical guide to dealing with the death of your husband, won the 2012 Texas Association of Authors book award for Women’s Issues. My book, Alone and Alive, a practical guide for dealing with the death of your husband, has been selected as a finalist in the adult non-fiction category of the North Texas Book Awards. One of the three finalists will be announced as the winner on April 14 at the North Texas Book Festival in Denton, Texas.